In some places there are fascinating juxtapositions of old and new, with art from different eras shown by a single gallery (occasionally, in a way, as in the case of Annie Liebowitz’s portrait of Louise Bourgeois, in a single work). Elsewhere, adjacent galleries are showing work that would never normally be seen cheek by jowl. Nowhere though does this feel jarring. 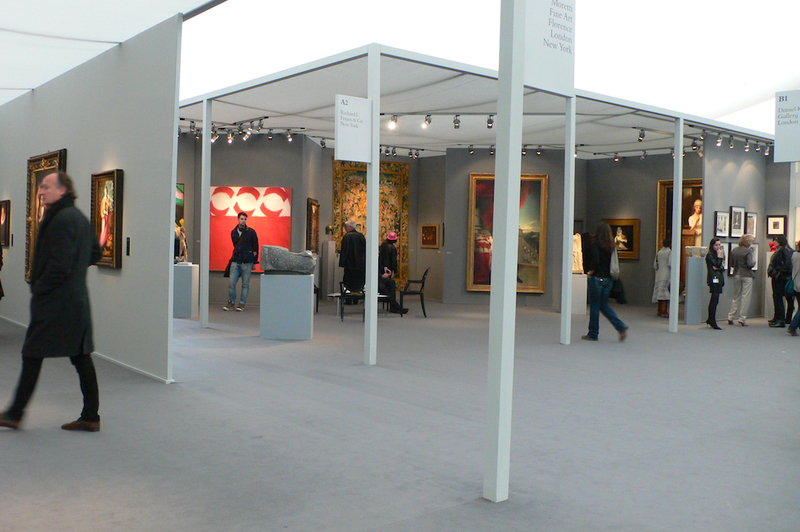 Indeed my overriding impression of Frieze Masters is one of calm. Admittedly this is in part as a result of comparing it with the frenetic atmosphere of Frieze itself but it’s also quieter, as though the calmness of the grey walls and carpet has made everyone slow down and relax a bit. If anything though, there’s more evidence of work being sold. In part this is down to the use of red dots – something that never seems evident at Frieze, or in contemporary galleries – but there also seemed to me to be more conversations happening between gallerists and potential buyers though it seems likely that at both fairs most such interactions happened on preview day. 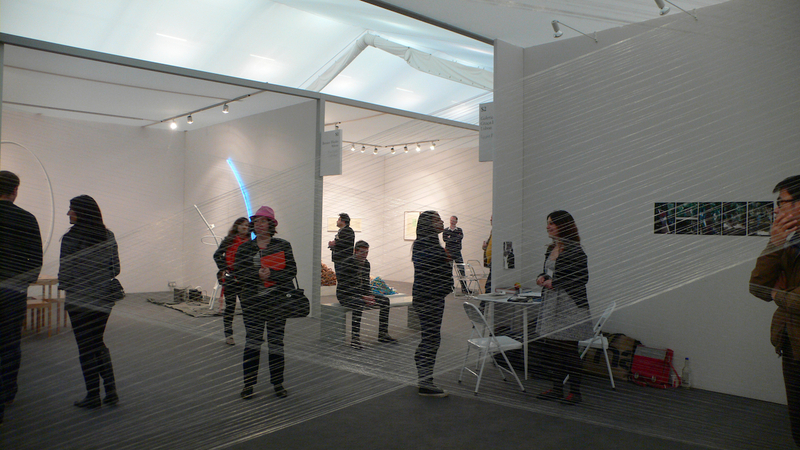 As at Frieze, the hard sell of the big name galleries is off-set by an area given over to galleries employing a slightly different strategy. At Frieze Masters this isn’t an opportunity for new galleries to take part, rather Spotlight is a series of stands at which galleries are showing the work of a single twentieth century artist. Much of the work here is from the 1960s and ’70s and it’s a powerful reminder of the radical nature of the work made then. Seen from now, perhaps especially seen in relation to the contemporary art world at its most frenetic – which, arguably, Frieze embodies – though clearly now highly saleable, this is work with an agenda that seems to have little in common with the commerce of the contemporary art world. In an art world that seems increasingly obsessed with newness (at the Sunday Art Fair at Ambika P3 a frankly alarming proportion of the artists on show were under 30), Frieze Masters felt like a breath of fresh air. *Excuse the cliché, I’m all art faired out. It’s been a long week. **I meant to make a note of what it was but forgot. Oops! This entry was posted in Art fairs and tagged art, art fair, Frieze, Frieze Art Fair, Frieze Masters, London, Regent's Park, Spotlight by Ann Jones. Bookmark the permalink. It was well worth a visit but yes, both in one day is too much. Art overload sets in quite quickly for me though!